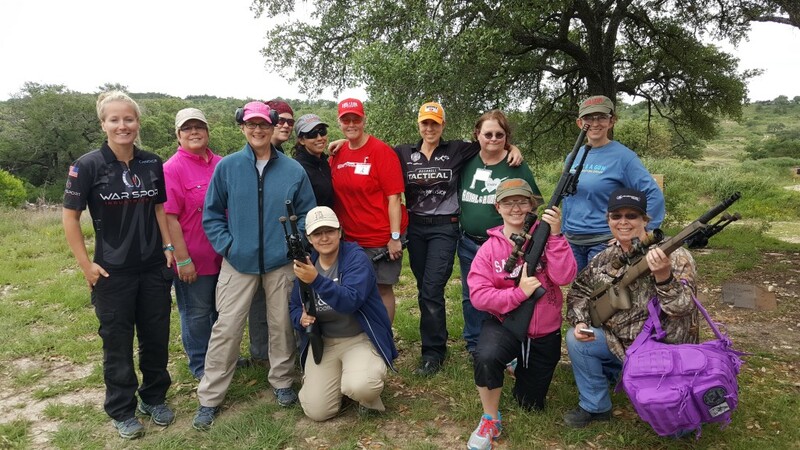 A Girl & A Gun National Training Conference was held at the facilities of Copperhead Creek Shooting Facilities in Marble Falls Texas April 29-May1. A Girl & A Gun has many Chapters throughout the United States. A Girl and A Gun is a ladies-only organization established by women shooters for women shooters for pistol, rifle, and shotgun sports! A few months ago, I was asked if I would be interested in being the Lead Instructor for teaching ladies precision rifle competition shooting. Of course, I jumped at this opportunity. To be able to teach, train and share my passion of long range shooting with other females was just a pure blessing. The class I taught was “Intro to Precision Rifle competitions”. Jim was going to tag along with me to the event, but he had a class of his own to teach in Utah. So, Texas bound here I come! Candice Horner was asked to teach the long range natural terrain class. I met Candice a few months ago at a PRS match and she was really sweet. So I was excited to get to spend a few days with her in Texas & get to know her more. What I come to realize during my time with her is that, this girl is just like me!! Wicked sense of humor, no nonsense and all around great person. When I arrived in Texas that Thursday, Candice and I went to dinner. The loaner rifles for my class were heavier rifles and kicked really hard and not really what a female would want to shoot in a match. Plus one was a top feeder rifle. A Girl & A Gun organizers didn’t know our competition rifles are much different than hunting rifles. The loaner rifles from A Girl & A Gun was not what we shoot in matches and I really didn’t want to scare any of the new shooters away from this wonderful sport. 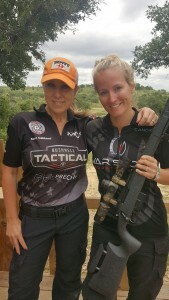 Candice was teaching Long Range Natural Terrain and she suggested we combine our classes and my ladies could use the rifles she brought. Plus, her rifles were more competition style. I agreed and both of us started making phone calls to make sure it was okay with everyone. Candice and I were both teaching long range and together we would make this one dynamic class. We started each morning around 9:00 am. I was nervous and excited for this but I really wanted to do a great job and make everyone proud. 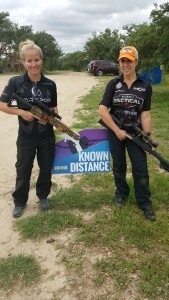 Candice and I explained to the ladies the basics of Long Range shooting. 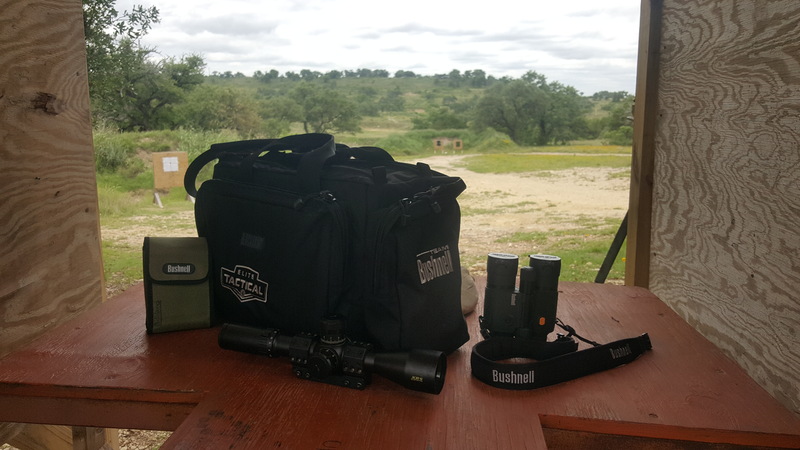 We covered topics such as the basic understanding of the scope, the ballistics of the bullet, Mil vs. MOA, and Wind. It was really difficult to try to cram all this information into a 3 hr class, but we sure tried! Next we had each lady come up to the line and got them behind the rifle so they could shoot the steel targets that ranged anywhere from 200 yrds out to 600 yrds. Just the sheer excitement that most women had when they would the steel ring was well worth this trip and weekend. With other instructors at the Bang-quet. 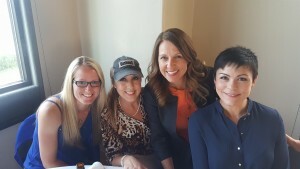 Candice Horner, myself, Diane Muller, & Tatiana Whitlock. Friday evening was a “Bang-quet” for all attendees and instructors. It was a lot of fun to see each of the ladies that won door prizes. Candice and I had a great time as we were accompanied by Sam Adams….hee hee hee. With my Bushnell gear, XRS 4.5-30 scope and Fusion 1 mile Arc Laser range finders. Thank you Missy. So glad we finally met. Hope you get to come back next year. Such a great class Melissa! Hope you will be there again in 2017 so I can learn even more from you. I think PRS is what I want to pursue thanks to you and Candice :). Can you tell me what brand/model the .308 bolt action rifles were? Thank you! !